Dr. Richard E. Sprague is a graduate of The University of Southern California. He received his Doctorate in Dental Surgery in 1993 and his Specialty Degree in Endodontics in 2004. Dr. Sprague is a member of the American Dental Association and the American Association of Endodontics. 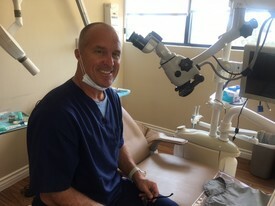 Having spent 10 years as a Cosmetic Dentist in Beverly Hills, California prior to becoming a root canal specialist, Dr. Sprague has developed a specialty practice that works with some of the most talented Cosmetic Dentist in the country. Dr. Sprague is recognized for understanding the high demands of todays patients and is commited to assisting you and your referring Doctor with the care of your smile. Dr. Sprague strives to stay in the forefront of Root Canal Therapy. He lectures extensively to both local and foreign dentist on the ever changing field of Endodontics. His continuing education company www.EndotoImplants.com teaches general dentists the latest techniques in root canal treatment "30 minute root canal", oral surgery and implany surgery. In his spare time, Dr. Sprague likes to Surf, Ski, Snowboard and travel with his Family. Dr. Hogan graduated from Charles University in Prague, Czech Republic, with a Medical Degree. She received her certificate in Periodontics and Master of Science degree in Oral Biology from UCLA School of Dentistry. She is currently on the faculty in the Section of Periodontics at UCLA and in private practice in Periodontal Microsurgery and Implants. Dr. Anderson studied Biology at the University of Utah. His studies also included advanced courses in Mandarin Chinese. 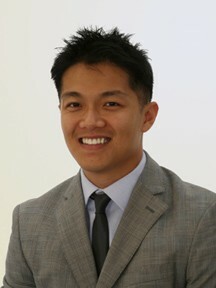 Following graduation, he attended dental school at UCLA. He obtained his Oral & Maxillofacial Surgery experience at the University of Texas Health Science Center in Houston. This included obtaining a medical degree in combination with his surgical training. 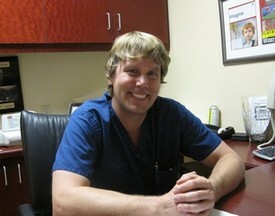 Dr. Anderson has been trained to use a variety of conscious sedation and general anesthesia techniques. In addition to dentoalveolar and implant surgery, special interests include bone graft reconstructive surgery, orthognathic surgery and cleft lip and palate repair. Dr. Anderson enjoys teaching and has been an instructor for the American Heart Association Advanced Cardiac Life Support course (ACLS).